Uber's (domain: Uber.com) latest admission of data breach has added to the company’s serial moral failings. But apart from the existing financial effects, it also made Uber's public offering (IPO) plan announced for next year a difficult prospect. Financial Times (ft.com) video above published Nov 23, 2017. Washington state AG sues Uber over data breach | TheHill.com. Uber Technologies Inc. is a global transportation technology company headquartered in San Francisco, California, USA, operating in 633 cities worldwide. Technalysis Research President Bob O'Donnell and Bloomberg Intelligence's Jennifer Rie discuss the U.S. Justice Department's antitrust lawsuit to stop AT&T's proposed acquisition of Time Warner. They speak on "Bloomberg Technology" on November 20, 2017. Case Name: United States v. AT&T Inc., DirecTV Group Holdings, LLC, and Time Warner Inc. The FT Alphaville editor explains why she thinks buying cryptocurrencies (e.g., bitcoin) is more similar to gambling than to investing. She also explores how regulators and tax authorities around the world are slowly catching up with this technology. Financial Times (ft.com) video above published Nov 22, 2017. Cryptocurrency: Commodity, Currency or Asset? Consensus: Invest 2017 | CoinDesk.com Nov 28, 2017, New York City - SOLD OUT but streaming LIVE (see also @coindesk twitter feed further below). Consensus: Invest is completely sold out but we will be live streaming the event starting tomorrow morning on https://t.co/fWu7g7BmAg. Don't miss it! See also: AWS Free Tier | aws.amazon.com. CNBC.com video above published Sep 19, 2017: The move comes four years after Google outdid AWS with per-minute pricing. Domain Mondo's weekly internet domain news review (NR 2017-11-26) with analysis and opinion: Features • 1) ICANN Board Executive Committee, Conflicts of Interest, 2) ICANN news: a. ICANN61 Caravan, b. Public Comment Periods, c. 3 Peas in a Pod - ICANN is a "chummy private club", 3) Names, Domains & Trademarks: a. DOJ Antitrust - ICANN & Verisign $VRSN Next?, b. ccTLD .au, c. GoDaddy $GDDY, d. SteelyDan.com, e. .COM Brand Credibility, f. Worth Reading, g. Good Advice, 4) ICYMI: Internet Freedom, 5) Most Read. "A boardroom dispute over ethics has broken out at the organization that maintains the Internet address system after its most important supporter, the United States government, reproached the group for governance standards said to fall short of “requirements requested by the global community.” The Commerce Department said this month that while it was temporarily extending a contract with the Internet Corporation for Assigned Names and Numbers [ICANN] to manage the allocation of computers’ Internet protocol addresses ... it warned the organization that it needed to tighten its rules against conflicts of interest or risk losing a central role ... “ICANN must place commercial and financial interests in their appropriate context,” said Mr. [Rod] Beckstrom, who is scheduled to step down from his post [ICANN President & CEO] in July. “How can it do this if all top leadership is from the very domain-name industry it is supposed to coordinate independently? ..."--The New York Times March 18, 2012, under the title "Ethics Fight Over [new gTLDs] Domain Names Intensifies" (emphasis added). ICANN Board Executive Committee "(A) To the extent permitted by law, the Committee shall exercise all the powers of the Board during the interval periods between regular Board meetings when the Board is unavailable or unable to meet. (B) The Committee shall not have the authority to adopt, amend or repeal any provision of the Bylaws or take any other action which has been reserved for action by the full Board pursuant to the Bylaws, a resolution of the Board or which the Committee is otherwise prohibited by law to take." --Executive Committee Charter | As approved by the Board of Directors on 2 November 2017. Membership and Leadership of ICANN Board Committees | ICANN.org: "Executive Committee: Cherine Chalaby (Executive Committee Chair)[also ICANN Board Chair]; Becky Burr; Chris Disspain [ICANN Board Vice Chair]; Göran Marby [ICANN President & CEO]." Becky Burr, a former U.S. government lawyer, is employed by privately-held Neustar, a domain name registry operator and backend registry services provider for hundreds of new gTLDs. Neustar also owns another backend registry services provider, which Burr failed to disclose in her SOI (see below), ARI Registry Services, which reportedly was involved in the secret conflict of interest which caused the resignation of Kurt Pritz, ICANN's Chief Strategy Officer "best known as the architect of ICANN's new gTLD program" in 2012. A complete list of the new gTLDs and new gTLD applicants for which Neustar or ARI Registry Services is the designated backend registry services provider is not readily available on the ICANN website, but ntldstats.com provides some information (via its listings) for delegated new gTLDs: Neustar (223 new gTLDs) and ARI Registry Services (58 new gTLDs). "J. Beckwith Burr: Vice President and Deputy General Counsel for Neustar, Inc., which contract [sic] with ICANN to operates [sic] .Biz and .Neustar, and which provides back-end registry services for numerous other gTLDs under contract with ICANN." Chris Disspain is the former CEO of .au Domain Administration Ltd. (auDA), which terminated his contract in 2016. A question relating to Disspain while at auDA may be involved in this Freedom of Information request, but that request, unfortunately, was refused by the Australian government. I say "unfortunately" because allegations relating to ccTLD .au, its administration and management, have been a continuing saga, and may have no basis in fact or nothing to do with Disspain as auDA CEO (see item at 3)b. below). On the other hand, it's possible some of allegations may be both relevant (to Disspain as auDA CEO) and true. Marby's and Chalaby's SOIs state only: "Nothing identified." Interestingly, Burr and Disspain have not gone through the due diligence screening process (background checks) that the ICANN Nominating Committee (NomCom) utilizes for ICANN Board membership, but apparently both have recently volunteered to do so. Uniregistry's 3000% Frank Schilling, with his pals ICANN GDD President Akram Atallah and ICANN GDD VP Cyrus Namazi at ICANN60. ICANN is a "chummy private club." a. Antitrust Enforcement: First AT&T, ICANN and Verisign $VRSN Next? "ICANN is just a scam and the entire industry is based on monopolistic fraud with DC payoffs." --Mike Mann, domain names registrant and domainer, March 30, 2017.
b. ccTLD .au: Review of Australia’s .au domain management | Department of Communications and the Arts | gov.au: "seeking feedback on the management of the .au domain to ensure it remains fit for purpose in serving the needs of Australians online." Consultation Period: Nov 16, 2017 16:00 AEDT to Dec 18, 2017 17:00 AEDT. Review of Australia’s .au domain management - Discussion paper for Review of Australia’s .au domain management published 16th Nov 2017: Download PDF (393.02 KB). More info at the first link above, and at Lexology.com. c. GoDaddy (NYSE:GDDY): Goldman Sachs has added GoDaddy to its hedge fund VIP list. Shares of the top five companies on that list--Facebook, Amazon, Alibaba, Google, and Microsoft--have outperformed the S&P 500 by 770 basis points this year--SeekingAlpha.com. d. SteelyDan.com: Donald Fagen has sued Walter Becker's estate, alleging the Becker estate is improperly asserting control over the Steely Dan name, specifically, the band's website [domain: steelydan.com], which the estate currently operates, and that Becker's estate has not "relinquished or shared control of that domain name with Fagen" and "absent an injunction… will continue to misappropriate Steely Dan's website and otherwise inappropriately use the Steely Dan name.""--RollingStone.com. f. Worth Reading: The Big Issues in the Domain Industry - Part 2 | whizzbangsblog.com. g. Good Advice: Only buy what (domains) you need | OnlineDomain.com. • Pakistan: Study: Internet Freedom Worsens in Pakistan | VOAnews.com: "Pakistan among the top four countries, including Brazil, Mexico and Syria, where people have been murdered in each of the last three years for writing about sensitive subjects online." • China: Cyberspace Administration of China (CAC) Rejects Censorship Critics, Says Internet Must Be 'Orderly'--VOAnews.com. • U.S.: Defense Department Spied On Social Media, Left All Its Collected Data Exposed To Anyone | Techdirt.com: "I know that the US government still has this "collect it all" mentality, but as we've discussed over and over again, adding more hay to the haystack doesn't make it easier to find the needles." Tech Review (TR 2017-11-25)--Domain Mondo's weekly review of tech news with commentary, analysis and opinion: Features • 1) Tencent Reaches $500 Billion Market Capitalization, 2) Media & Advertising Disrupted, 3) Investing: Stock Indexes at Record Highs, Trump's First Year & Legacy, 4) ICYMI Tech News. Tencent on Monday punched through a stock market capitalization of $500 billion, becoming the first Chinese technology company to join an elite group dominated by US corporations. Financial Times (ft.com) video above published Nov 20, 2017. Tencent Holdings Limited (domain: tencent.com) is a Chinese investment holding conglomerate whose subsidiaries provide media, entertainment, social network, payment systems, smartphones, internet-related services, value-added services, e-commerce, artificial intelligence, property services, and online advertising services, principally in China. Global ambitions: will Tencent be as successful competing in the global marketplace as it is on China's state-controlled internet? Tencent is the world's fifth-largest internet company by revenue according to wikipedia.org. Tencent's killer app is WeChat (domain: wechat.com), a social mobile application with voice and text messaging service. It is the most popular social mobile application in China and some overseas Chinese communities, such as Malaysia. See: Tencent turns to WeChat, games and deals for global strategy: "Malaysia the first foreign country to roll out its WeChat ecosystem," an executive told Reuters.com. 2) Media & Advertising Disrupted: Why there's so much anxiety in the media business right now | CNN.com: "The digital advertising duopoly of Google and Facebook -- in which they take in 2017 about 90% of all the digital ad dollar growth -- drives everyone else in media to run tighter ships," said analyst Ken Doctor. Angst Among Digital Media CEOs as Ads Fall: Is It Time to Sell? | Bloomberg.com: "With ads tough to sell and new capital hard to raise, dreams of creating new digital behemoths have given way to a more realistic view that survival may hinge on being part of a larger company." Mainstream Media Turns On Social Media--"Mark Zuckerberg's Long Litany Of Failings."--ZeroHedge.com. New model? Move Over WaPo & NYTimes: Axios.com Raises $20 Million to Fund Newsroom Expansion | WSJ.com: "The 10-month-old media startup plans to increase staffing to 150 by the end of 2018, develop new coverage areas, and expand its data analysis and product offerings." For the week ending Friday Nov 24, 2017, U.S. stocks: the S&P 500, NASDAQ, and Russell 2000, all end the week at all-time record highs--MarketWatch.com and S&P 500 closes above 2,600 for first time | CNBC.com. Tax Bill: "After I saw that tax bill, I lost hope with the drain the swamp concept, the swamp keeps getting bigger." --DoubleLine's Jeffrey Gundlach. See also: The Republican Tax Plan Is Very Swampy | ZeroHedge.com. Goldman Sachs says 2017 was surprisingly good, 2018 will be more of the same: "2017 is shaping up to be the first year of the expansion in which growth surprises to the upside ... We expect 2018 to deliver more of the same"--Goldman analyst Charles Himmelberg--cnbc.com. Trump & China: Don't "be lulled by Trump's public praise of President Xi. Behind the scenes, [Trade Rep] Lighthizer's arguments are winning the day"--Axios.com. Bitcoin: “Can you live without bitcoins? Yes. Could you live without tulips in the Netherlands? Yes,” said Sankaran Naren, CIO of ICICI Prudential Asset Management Company, at the Reuters Summit in Mumbai--Bubbly bitcoin not worth the wager: investors | Reuters.com. Short $TSLA? "Put it this way," short seller Jim Chanos said, "if you wouldn't be short a multi-billion-dollar loss-making enterprise in a cyclical business, with a leveraged balance sheet, questionable accounting, every executive leaving, run by a CEO with a questionable relationship with the truth, what would you be short? It sort of ticks all the boxes" --cnbc.com. See also: Bloomberg.com--Tesla’s Burning Through Nearly Half a Million Dollars Every Hour--"By this calculation, Tesla would exhaust cash on Aug. 6, ." $INTC--SeekingAlpha.com: Chromebooks--One Good Reason To Like Intel. 'The fear is gone,' boom-time complacency tops investors' worry list--Reuters.com. Amazon's Last Mile | gizmodo.com: "... plainclothes contractors with few labor protections, driving their own cars, competing for shifts on the company’s own Uber-like platform ... In terms of size, efficiency, and ruthlessness, Amazon has few equals ... "
Is Google's AI almost as stupid as Siri? Google Has Picked an Answer for You—Too Bad It’s Often Wrong | WSJ.com: "Going beyond search, the internet giant is promoting a single result over all others, and many are contentious, improbable or laughably incorrect." Apple offices raided ahead of launch of iPhone X in South Korea | metro.co.uk: "Apple products are wildly popular in South Korea, which is home to several giant tech firms including Samsung and LG." Qualcomm to Win EU Approval for NXP Deal by End of Year--Bloomberg.com. A Windows 10 alternative: Microsoft should embrace, extend Linux on the desktop | ZDNet.com: "I get it ... you don't want Windows 10. Let me suggest another solution." See also: "​Linux totally dominates supercomputers"--ZDNet.com. Another Cryptocurrency Gets Hacked, Money Disappears. Here are the 30 Biggest Crypto Hacks | WolfStreet.com: "Bitfinex, which doesn’t even disclose where it is located (it’s incorporated in the British Virgin Islands at a mailbox address and files some paperwork in Hong Kong), was hacked again, after its May 2015 hack." Safer Internet Experience for South Africa Announced | allAfrica.com: "... a free new global Domain Name System (DNS) service ... Quad9 provides an immunisation service against malware. It supports end-to-end encryption. The system has been in pilot for a year, with almost 1 million users globally ..."
Homeland Security Committee Hearing streamed LIVE Oct 12, 2017: "North Korea’s recent provocations have raised concerns regarding the extent to which the regime has the capability to threaten the homeland. The Department of Homeland Security (DHS) has critical responsibilities to protect the homeland from an array of threats including cyber vulnerabilities, nuclear terrorism, and other risks. This hearing examines the risks posed by North Korea to homeland security and recommendations from private experts on how DHS can best prepare and mitigate these risks." Chairman of the now defunded EMP commission William Graham and its former chief of staff Peter Vincent Pry have said an EMP attack would be devastating. “The result could be to shut down the US electric power grid for an indefinite period, leading to the death within a year of up to 90 per cent of all Americans.” Pry's LIVE testimony begins at 37:00 on the video above. Pry has said that at an altitude of 300 kilometers, the resulting electromagnetic pulse would affect all 48 contiguous states. A warhead fused for an EMP in a satellite or ICBM could work on a timer, via GPS, or using an altimeter. More info: Electromagnetic pulse (EMP) | Wikipedia.org. The EMP Threat Facing the United States | RiponSociety.org: "America’s 16 Critical Infrastructures range from Water & Wastewater Systems to Food & Agriculture to Nuclear Reactors, Materials & Waste – and all of them depend upon electricity. America’s need for electricity creates the ideal conditions by which an adversary can take advantage of Sun Tzu’s “Supreme art of war,” which is “to subdue your enemy without fighting.” In 1999, with full recognition of this reality and enraged with American policy in the Balkans, Vladimir Lukin (the head of the Russian State Duma’s Foreign Affairs Committee) threatened a U.S. Congressional delegation by stating: “If we really wanted to hurt you with no fear of retaliation, we would launch a Submarine-launched Ballistic Missile (SLBM), [and] we would detonate a nuclear weapon high above your country and shut down your power grid.” See also: Trump warned of 'devastating EMP attack' | washingtonexaminer.com. North Korea boasts about its nuclear weapons program by releasing photos and videos of its missiles. But in them are tiny clues to their true capability. A team of U.S. analysts, working outside the government, shows how they decode these images to determine when North Korea is bluffing – and when it is showing true power. Jeffrey Lewis's research is funded by Middlebury Institute at Monterey's Center for Nonproliferation Studies. The Wall Street Journal (wsj.com) video above published Oct 5, 2017. Bloomberg.com video published Nov 20, 2017: E-commerce has chipped away at the market share of storied retailers like Macy's, Sears, and JC Penney, but it's hardly the only reason the future for these stores looks bleak. Bloomberg Gadfly's Sarah Halzack explains what department stores are up against, and how they might revive themselves before it's too late. Target (domain: target.com) offers free shipping beginning November 1st, and most of its holiday assortment will be priced at under $15. Fortune.com video above published Oct 23, 2017. Department store sales, which peaked in 2001, have been crushed by e-commerce. 16 years of inflation and population growth notwithstanding, department-store sales have fallen by 35%. New- and used-vehicle dealers and auto-parts retailers: 21% of total retail sales. Grocery and beverage stores: 12.6% of total retail sales. Gasoline stations: 8% of total retail sales. Total of above: 54% of all retail sales. Everybody else is "at risk." See also: Amazon discounts other sellers' products as retail competition stiffens | Reuters.com. Note: In 2016, Apple experienced its first annual revenue decline since 2001, but Apple's profit almost equaled that of the four other tech giants above combined. 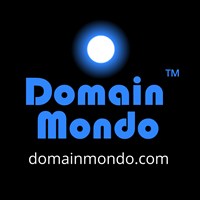 Domain Mondo's weekly internet domain news review (NR 2017-11-19) with analysis and opinion: Features • 1) Incompetent Lawyers, Domain Names & ICANN's UDRP, 2) ICANN News: a. UNESCO Study On Internet Governance, b. GDPR & WHOIS, c. ICANN61 Update, d. SSR2-RT Status, 3) Names, Domains & Trademarks: 2 Best Tools To Find A Domain Name, GoDaddy $GDDY, Verisign $VRSN, & more, 4) ICYMI: Internet Freedom, 5) Most Read. Rule 1 defines reverse domain name hijacking as “using the Policy in bad faith to attempt to deprive a registered domain name holder of a domain name”. See also Rule 15(e). “[A] finding of [RDNH] is warranted if the Complainant knew or should have known at the time it filed the Complaint that it could not prove one of the essential elements required by the Policy. [. . .] [S]uch a finding is particularly appropriate where the Respondent’s registration of the domain name predates the very creation of the Complainant’s trademark.” carsales.com.au Limited v. Alton L. Flanders, D2004-0047 (WIPO April 8, 2004) (citing Futureworld Consultancy (Pty) Limited v. Online advice, D2003-0297 (WIPO July 18, 2003)). Ordinarily if the face of the complaint itself demonstrates a settled reason why the complaint must be denied, a panel may make a finding of RDNH. See Liquid Nutrition Inc. v. liquidnutrition.com/Vertical Axis Inc., D2007-1598 (WIPO January 28, 2008) (finding RDNH where the Claimant alleged its first use of the mark was four years after the domain name had been registered).See also Scene LLC, dba Ookla v. Domain Buyer / Innovation HQ, Inc. FA1411001590403 (Nat. Arb. Forum Jan. 7, 2015) . . . . the Panel concludes that Complainant knew it could not prove bad faith registration of the <beautifulpeople.net> and <beautifulpeople.com> domain names, knew of Respondent’s unassailable legitimate interests in the domain names and nevertheless brought the Complaint in bad faith. Accordingly, the Panel finds Complainant to have engaged in Reverse Domain Name Hijacking." What happens when some stakeholders become or are too dominant or powerful? What is the relationship between multistakeholder and multilateral governance mechanisms? What are governments’ roles in Internet governance? Is the notion of multistakeholder participation becoming rhetoric rather than reality?" "... we believe that compliance with the GDPR will have an impact on the WHOIS system, and thus the domain name space. The purpose of the current community discussions and legal analysis that we are undertaking is to determine the scope of the impact. As a community, we need to work together to find the right balance between the current WHOIS services and compliance with local laws ..."--14 Nov 2017 Letter from ICANN (Akram Atallah & Theresa Swinehart) | ICANN.org (pdf) (emphasis added). EU GDPR | eugdpr.org: "The EU General Data Protection Regulation (GDPR) is the most important change in data privacy regulation in 20 years​." Protection of personal data | European Commission | ec.europa.eu. Data Protection/Privacy Issues | ICANN.org: "The General Data Protection Regulation (GDPR) was adopted by the European Union (EU) on 14 April 2016 and takes effect on 25 May 2018 uniformly across the EU countries." United States Council for International Business (USCIB)--USCIB.org: ICANN60 "wrapped up on November 3 in Abu Dhabi, UAE, with no further clarity for the ICANN community about the implications of the May 25, 2018 implementation of the European Union’s General Data Protection Regulation (GDPR) on ICANN’s WHOIS database, a system that provides information on entities that register domain names ..."
Data Protection/Privacy Activity Recap | ICANN.org 17 Nov 2017, by Akram Atallah and Theresa Swinehart. "... The restoration efforts following Hurricane Irma severely depleted PREPA’s recovery and repair supplies ... As Hurricane Maria approached Puerto Rico, PREPA prepared for the possibility of unprecedented damage. For context, we noted that it took about six months to restore power to the entire island after [category 3] Hurricane Hugo in 1989, at a time when PREPA had approximately 4,000 additional employees and the electric system was in less disrepair. [Category 4] Hurricane Maria hit Puerto Rico on September 19 and 20, 2017. The storm passed directly down the entire length of the island ... As the front of Hurricane Maria hit Puerto Rico on September 19, the electric grid began to fail. Around 8:00 p.m. that evening, transmission lines began to experience cascading failures. At approximately 2:00 a.m. on September 20, the last transmission line failed ... The damage assessment confirmed that PREPA’s entire grid suffered severe damage. Hurricane Maria inflicted sustained winds around 155 miles per hour, with gusts exceeding 200 miles per hour, far more than much of PREPA’s infrastructure was designed to withstand ... Since the passage of Hurricane Irma and Hurricane Maria, the employees of PREPA and the thousands of workers who have come to Puerto Rico to assist us have worked tirelessly to restore power and begin the recovery process. We have made significant progress, but much more remains to be done. We are working hard toward meeting the Governor’s directive that 95% of the island must have its power restored by December 15, 2017." See also: Puerto Rico Bond Prices Plunge Below Venezuela's On Moratorium Fears--Bloomberg.com reports [Nov 15, 2017] Puerto Rico may suspend debt-service payments for five years, a lead lawyer for the territory’s federal [U.S.] oversight board said, in the first indication of how the devastation caused by Hurricane Maria will affect the restructuring of the island’s debt.--ZeroHedge.com. d. SSR2-RT Status: Work Suspended by directive of ICANN Board of Directors, 28 Oct 2017, acquiesced by ICANN AC/SOs (pdf). Restart date TBD. NameStudio - Domain Name Search | Verisign.com. DomainScope - Domain Name Generator | DomainScope.com. • GoDaddy $GDDY: Marta Nichols, GoDaddy (NYSE: GDDY) Chief of Staff, will present at the Barclays Global TMT Conference in San Francisco on Thursday, December 7, 2017 at 10:00 a.m. PST. A live audio webcast of the event will be available on GoDaddy's investor relations website investors.godaddy.net. Following the presentation an audio replay will be available on the investor relations website. • Verisign $VRSN: Warren Buffett's Berkshire Hathaway (NYSE: BRK.A, BRK.B) Portfolio, Q3 2017 Update: VeriSign Inc. ($VRSN) was first purchased by Buffett in Q4 2012 at prices between $34 and $49.50, and the position was more than doubled in Q1 2013 at prices between $38 and $48 and another one-third the following quarter at prices between $44 and $49. Q1 & Q2 2014 saw a combined ~17% increase at prices between $47 and $63. Shares currently trade at $111 and the position is 0.78% of the Berkshire Hathaway portfolio, and about 10% of all Verisign shares--SeekingAlpha.com, see sec.gov/Archives/edgar. • Combosquatting: “The results were mind-blowing”: study reveals widespread problem of domain name combosquatting | WorldTrademarkReview.com. "Combosquatting differs from its better-known relative, typosquatting, in which adversaries register variations of URLs that users are likely to type incorrectly. Combosquatting domains don’t depend on victims making typing errors, but instead provide malicious links embedded in emails, web advertising or the results of web searches. Combosquatting attackers often combine the trademarked name with a term designed to convey a sense of urgency to encourage victims to click on what appears at first glance to be a legitimate link." --“Combosquatting” Attack Hides in Plain Sight to Trick Computer Users | gatech.edu. • ccTLD .AU: Australian government seeks advice on management of .au domain | ZDNet.com. "A trade name shall be protected in all the countries of the Union without the obligation of filing or registration, whether or not it forms part of a trademark." U.S. Treasury Secretary Steven Mnuchin: "Nobody Thinks Russia Had An Impact On The Election." America's Righteous Russia-gate Censorship and Clinton: Trump is still Putin’s puppet. China says internet must be 'orderly': Ren Xianliang, vice minister of the Cyberspace Administration of China (CAC): “We should not just make the internet fully free, it also needs to be orderly... The United States and Europe also need to deal with these fake news and rumors” Ren told journalists without elaborating."--Reuters.com. Freedom on the Net 2017 | FreedomHouse.org:"For the third consecutive year, China was the world’s worst abuser of internet freedom, followed by Syria and Ethiopia. In Ethiopia, the government shut down mobile networks for nearly two months as part of a state of emergency declared in October 2016 amid large-scale antigovernment protests ... New restrictions on virtual private networks (VPNs): 14 countries now restrict tools used to circumvent censorship in some form and six countries introduced new restrictions, either legal bans or technical blocks on VPN websites or network traffic.". • Quiet battle for control of the internet: OpenDemocracy.net: "The recent and intensifying push by governments to promote a concept of “digital sovereignty” ... China, the world’s most sophisticated online censor, will host the fourth iteration of its Wuzhen Summit this December. The Wuzhen Summit is China’s attempt to create an alternative to the Internet Governance Forum (an annual multi-stakeholder forum for global policy dialogue on internet governance issues) that reflects its state-led vision for the future of the internet." See also Amazon sells off China cloud assets as tough new rules bite | Reuters.com. Who Controls the Internet? Facebook and Google Dominance Could Cause the 'Death of the Web' | newsweek.com. • Internet Tax: Massachusetts ‘Cookie’ Nexus Regulation Challenged . . . in Virginia Circuit Court | Lexology.com: Asserting that the regulation violates the Commerce Clause of the United States Constitution and the Internet Tax Freedom Act. • TPP: Despite A Victory on IP, the TPP's Resurgence Hasn't Cured Its Ills | Electronic Frontier Foundation | EFF.org: "the TPP was, and remains, a bad model for Internet regulation." • Afghanistan Orders WhatsApp Blocked | FoxBusiness.com. • Free Speech: Appeals Court’s Disturbing Ruling Jeopardizes Protections for Anonymous Speakers | Electronic Frontier Foundation | EFF.org: "The Ninth Circuit Undercut Anonymous Speech by Applying the Wrong Test." See also Congress’s end run around a pillar of online free speech | CJR.org. • Global Voices Summit 2017 | Colombo, Sri Lanka. Dec 2-3, 2017. • Cybersecurity: Qihoo 360 chairman: "[Cybersecurity] is a very special industry, no matter if it’s Chinese or Russian or American, as long as a cyber security firm grows big enough, it needs to be aligned with national interests.” See also Security Breach and Spilled Secrets Have Shaken the N.S.A. to Its Core | NYTimes.com Nov. 12, 2017: "A serial leak of the agency’s cyberweapons has damaged morale, slowed intelligence operations and resulted in hacking attacks on businesses and civilians worldwide." 3. Qualcomm $QCOM Rejects Broadcom's $105 Billion Offer, What's Next?